Cameras are everywhere—from traffic monitoring systems to security video in retail stores. Every day, people post visual proof of incidents recorded on their smartphones. Private investigators hired by insurance companies use cameras too, as they try to avoid liability for vehicle accident claims. Insurance companies will do anything to minimize claims or deny them altogether. 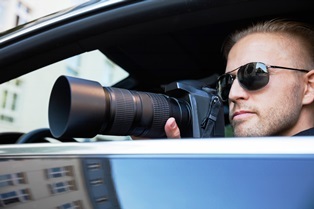 One of the tactics representatives often use is hiring a private investigator to obtain photo and video evidence of an accident victim's activities to gain proof and avoid paying their claim. The carrier may attempt to attack an injury victim’s credibility by obtaining footage indicating he or she might be fabricating or exaggerating medical conditions. This surveillance is perfectly legal, provided that the photos and videos were obtained in a public setting, such as a grocery store or a restaurant. ● The footage has nothing to do with the accident or resulting injuries. The goal of every insurance company is to maximize collected premiums while minimizing the amount paid out in claims, and they're very good at it.